Kurt Schwitters, a German collagist, was one of Chase's early influences, and his interest in collage came out of his studies of the work. By the 80's Chase had accumulated much visual "fotsam" from his past. Boxes and boxes of letters, postcards, baby cards, etc. had been passed to him by his Oklahoma and Texas relatives. He had also collected visual material from his time on the Gaspe peninsula. 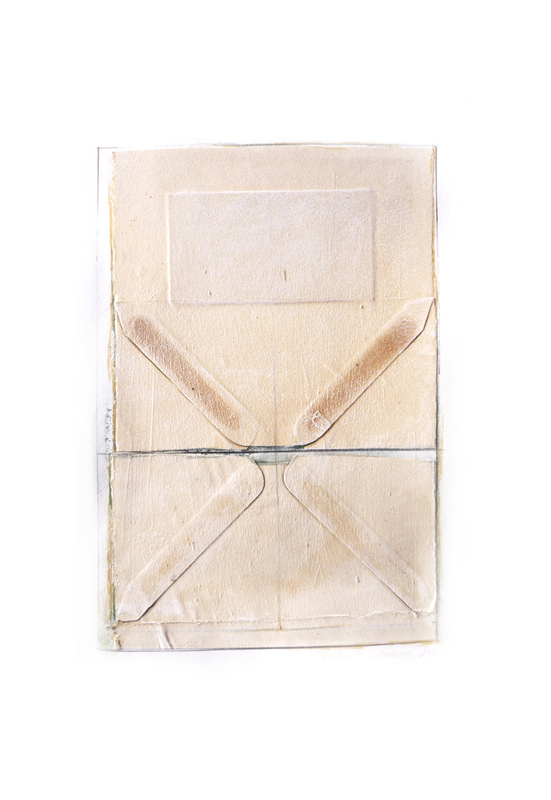 This series of envelopes uses much found material from the 1920's and '30's, envelopes, postcards and telegrams. On a trip to London Chase visited the Vicotria and Albert museum for the first time. He was intrigued by two visual experiences that were new to him. One was the watermarks on the pages of drawings by Ingres. 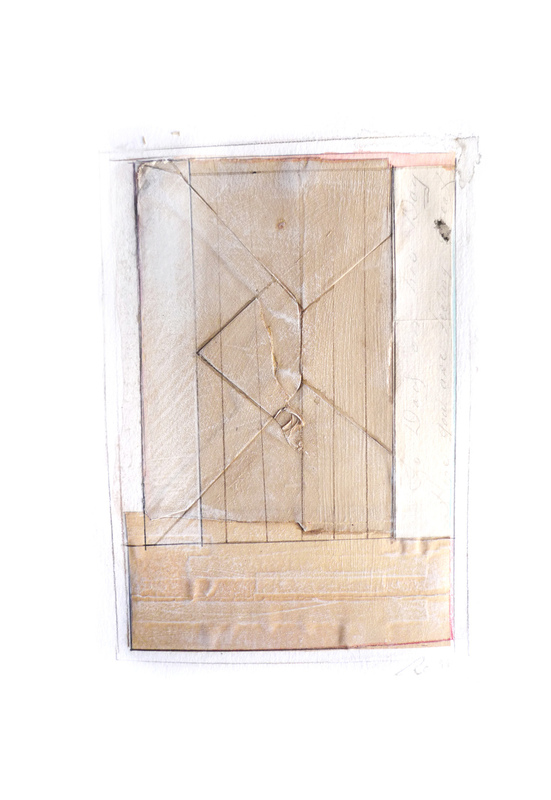 The other was the simplicity and patina on the pages of Japanese manuscripts made for contemplation. He began the series of unknown book pages shortly on his return. In 1979 Chase turned seriously to photography. He wasn't interested in photographing "the real world" but rather in creating compositions that would be photographed and then vanish. Often the work would be half photograph, and half laid out for the photograph.